Like every previous year, very luring technologies, gadgets, and devices were unveiled at the CES 2019. This year, the biggest tech fest in the world was dominated by smart home technologies and products, and this is what made the event different from yesteryears. 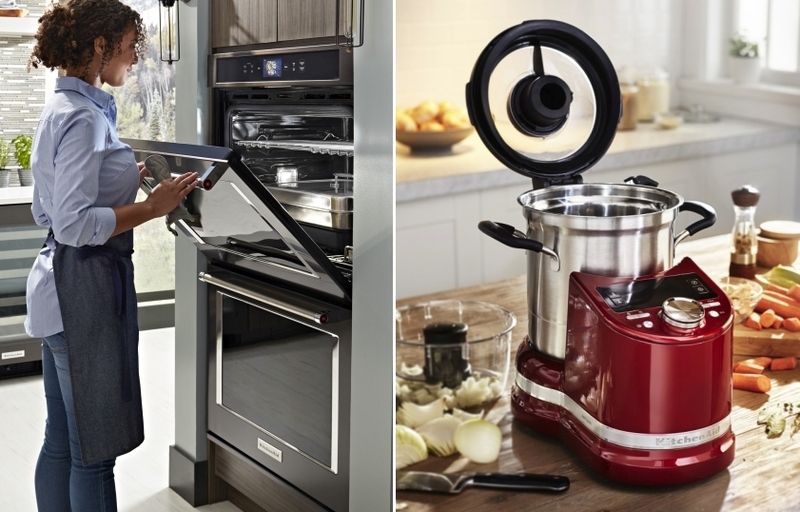 The intriguing event saw a number of smart home appliances, furniture, security devices and other home essentials displayed with release dates of later this year. If you have missed something that you shouldn’t have, at the Consumer Electronics Show, we have below a compendium of best smart home devices that were on show at CES 2019. Read on. What are the Best Smart Home Products from CES 2019? The pet surveillance market is dominated majorly by pet monitor cameras or interactive monitors which let you talk with your furry friend. Some of them even feed your pet at set intervals of time. Now, a new kind of pet monitor has been spotted at CES 2019 which adds an element fun too. French company CamToy has come up with a pet monitor dubbed Laika which behaves like a companion for your pooch. It rolls around, follows your dog and even gives treats from time to time. This way your pet is entertained fully even when you are not at home. Pampering your spoilt furry friend is a usual chore. 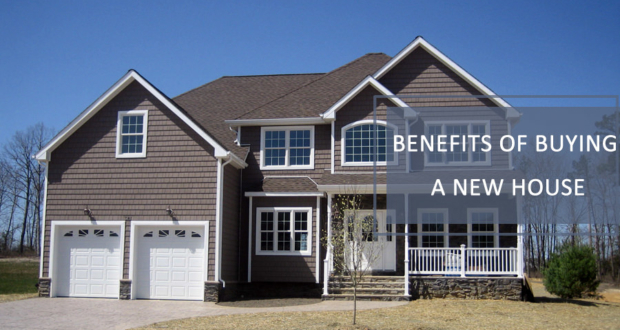 So why not take that extra step in pet care? At CES 2019, Singapore-based company Pet Connexion displayed their pet dryer which any cat or dog would fancy. 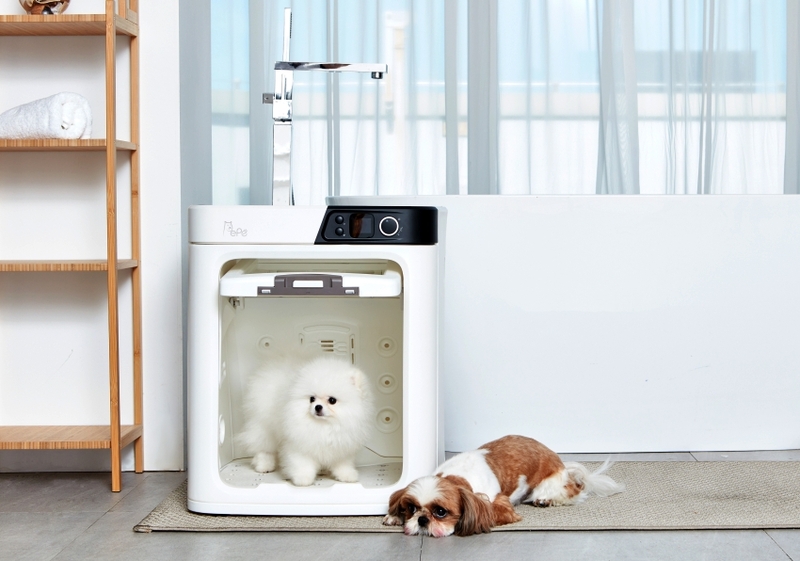 Called Pepe, the dryer is tailor-made for pets of all medium-sized breeds. The pet dryer works well for both cats and dogs as it dries every strand of their fur. 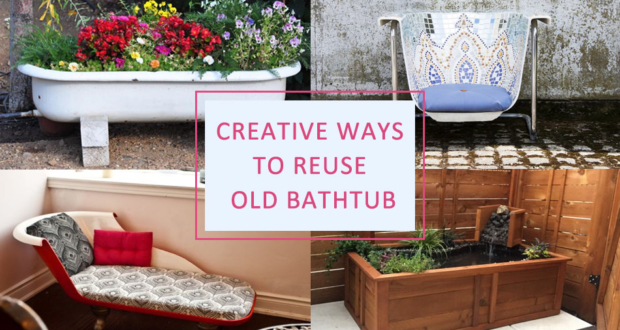 This saves you from all the hassle of drying. 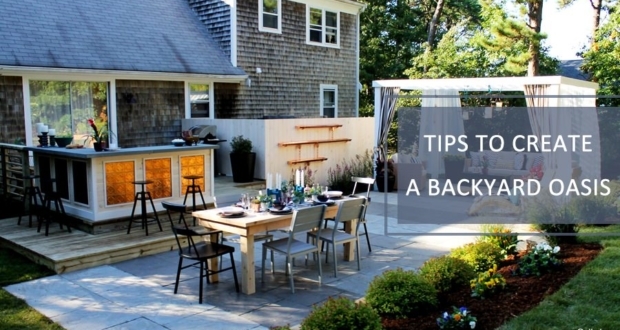 Moreover, it also prevents water spillage after bathing your pet. 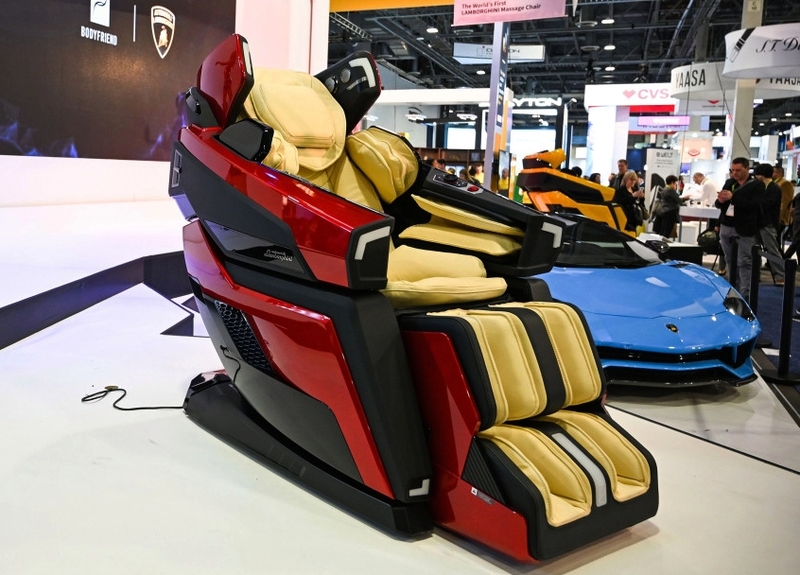 Inspired by the Lamborghini Aventador supercar, this massage chair designed by Boyfriend (South Korean health group) in collaboration with Lamborghini won the innovation award at the Consumer Electronics Show 2019. The LBF-750 massage chair looks like a transformer but unfortunately, it doesn’t transform into a supercar with the push of a button! Amazon-backed smart home company Ring has launched the Door View Cam at CES 2019. Ring claims it’s a ‘doorbell for every home’, and so it is. Frankly because it fits right into the existing peephole slot of your door and doesn’t require any additional cabling and installation. 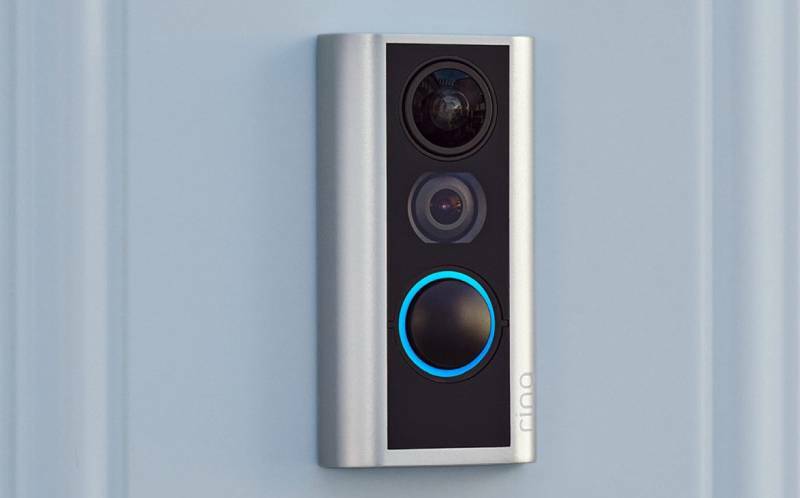 Ring Door View Cam is just like any other video doorbell intrinsically, but what makes is stand apart is the ease with which it can be installed. 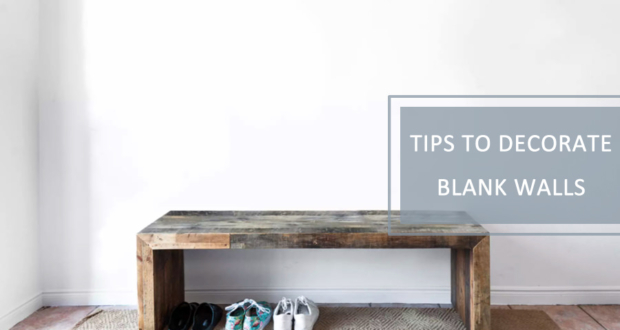 Just remove the existing door peephole, install the View Cam on either side of the door in place of the door viewer, put in the rechargeable batteries – Voilà, the Ring View Cam is all set to roll. This year Kohler has announced the latest version of Sensate hands-free faucet at Consumer Electronics Show in Las Vegas. If the Kohler Sensate sounds familiar, it’s because this line of faucets was first introduced in 2013 to bring hands-free control with proximity sensors. But now the new version comes integrated with Alexa, Google Assistant, and HomeKit support, taking touchless control to a whole new level. The Sensate Touchless kitchen faucet with Kohler Konnect enables users to dispense measured amounts of water and turn the water on or off through simple voice commands or motion-based interactions. LG rollable OLED TV rippled quite a buzz at last year’s CES with its eye-catchy design and practical functionality. Then it was a prototype and now at CES 2019 LG just previewed the rollable TV at their press conference. LG Signature OLED TV R (it’s finally got an official name) rolls back into a compartment which also houses the 4.2-channel, 100W front-firing Dolby Atmos audio system. The American manufacturing company Kohler best known for its kitchen and bathroom products is introducing a voice-assisted smart toilet at CES 2019. 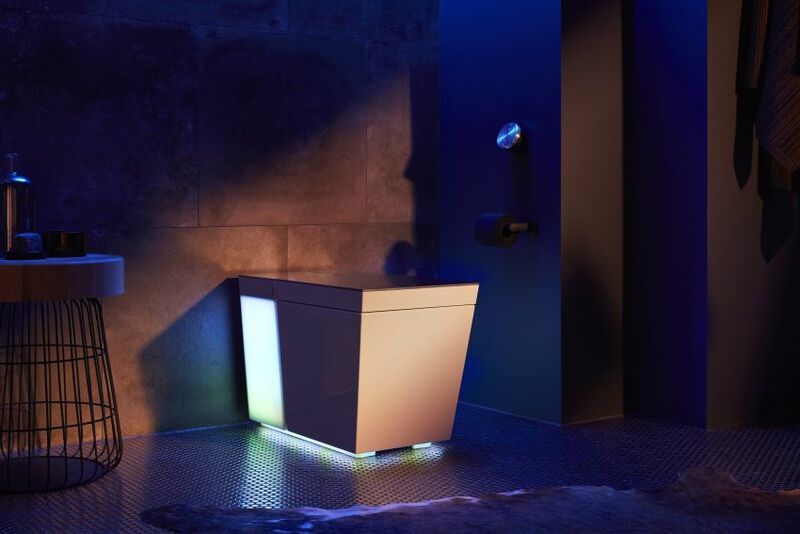 Kohler will be introducing a new Veil Lighted Bathroom Collection consisting of Numi 2.0 Intelligent Toilet, Verdera Voice Lighted Mirror, Sensate Touchless Kitchen Faucet, DTV+ Shower, and more bathroom products with added features like voice control, hands-free motion control, and personalized presets. 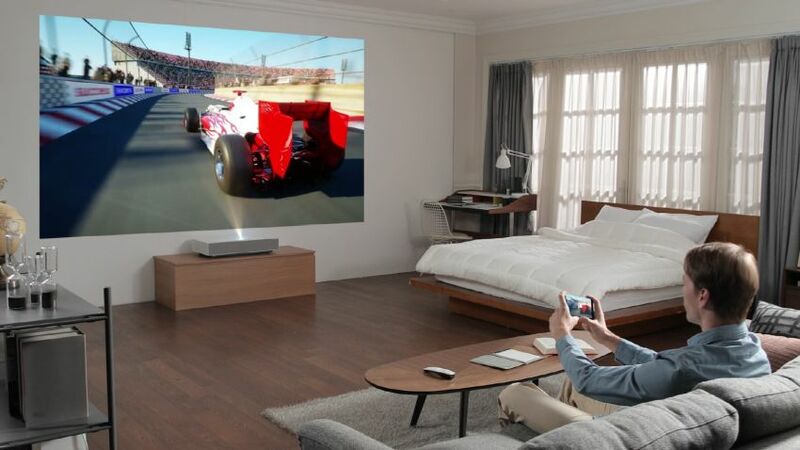 LG announced its CineBeam 4K (HU80K) laser projector at CES last year. At the upcoming 2019 event, LG’s upgraded HU85L model with Ultra Short Throw (UST) technology will make a debut. Featuring a subtle and compact design, it can match different interior styles and can project 4K images on any flat surface whether it’s a wall, floor or ceiling. The consumer electronics giant Samsung is bringing QLED technology and other smart features to its flagship lifestyle TVs. 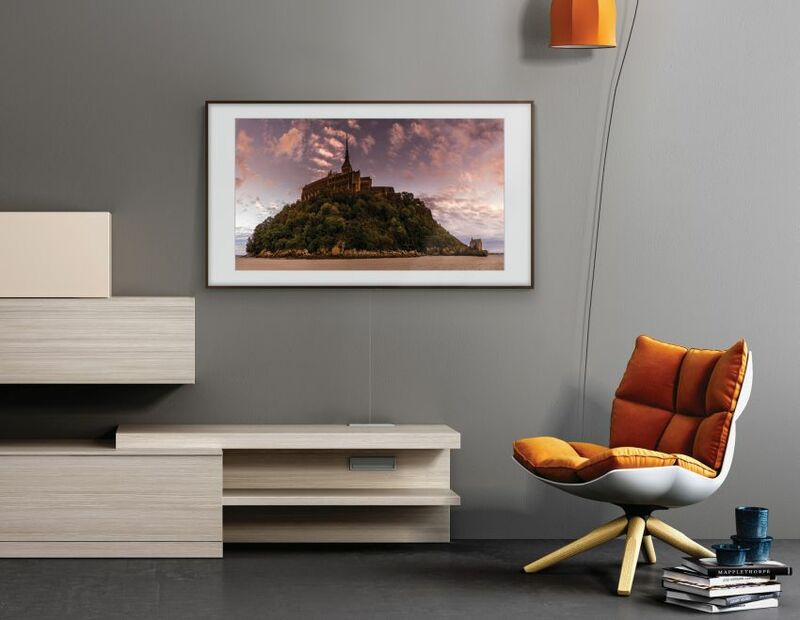 Up till now, Samsung’s Q-series of TVs utilized the Quantum Dot technology, however, Samsung will be adding QLED panels to The Frame and The Serif TVs, making them emit exquisite picture quality. Check CES 2019 for complete coverage of the biggest tech show of the year at Homecrux.